Although it is the smallest of the Virgin Islands, St. John is very big on beauty and tourism. Encompassing 28 square miles, much of the island is a U.S. National Park. From walking trails to sandy beaches and plenty of watersports, this quaint island has plenty to offer day trippers. The focal point of any island is, you guessed it, the water. The Carribean is known for its clear blue sea and beautiful bays. On St. John, a number of sandy beaches offer stunning views and a relaxing atmosphere. Caneel Bay, Cinnamon Bay, Francis Bay and Hawksnest Beach can all be accessed via Route 20 on North Shore Road. Great Cruz Bay is located on Route 104 and features the popular Westin St. John Resort & Villas. If you enjoy visiting historical locations and discovering hidden beaches, you can explore St. John on foot. Trails include Lind Point, Cinnamon Loop, Francis Bay, Annaberg, Salt Pond and Reef Bay. Ranging from a short 15-minute hike on Salt Pond Trail to one of the prettiest beaches in the U.S. Virgin Islands to a 2-hour walk on Reef Bay Trail, there are plenty of routes for the true explorer who desires a close look at the nature of St. John. when nature takes care of itself,” according to USVI.net. Speaking of a close look, snorkeling is a popular watersport that provides the ultimate in aquatic viewing. Along the north coast of St. John lies a 5,650-acre marine preserve offering spectacular snorkeling opportunities. Possible residents that may be seen include parrotfish, grunts, rays, snappers, jacks, tarpon and anglefish. Snuba, a combination of snorkeling and scuba diving, is another popular watersport that provides exploration in shallow ocean waters. Rounding out popular water activities on St. John are kayaking, water skiing and tubing. Although there are plenty of activities to enjoy, you will need to take a moment to eat at some point during the day. When you need to find a top-notch eatery, you won’t have any trouble on the island of St. John. Because most of the fine restaurants found on the island have chefs that were trained at the world’s best institutes, you will find the perfect combination of choices, fresh ingredients and a Carribean taste that you would expect from a true island dining experience. For additional information on St. John in the U.S. Virgin Islands, contact the Cruz Bay Visitor Center at 340-776-6201 ext. 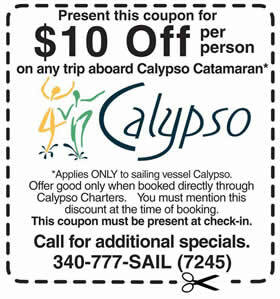 238, visit USVI tourism office or call them at 1-800-372-USVI. 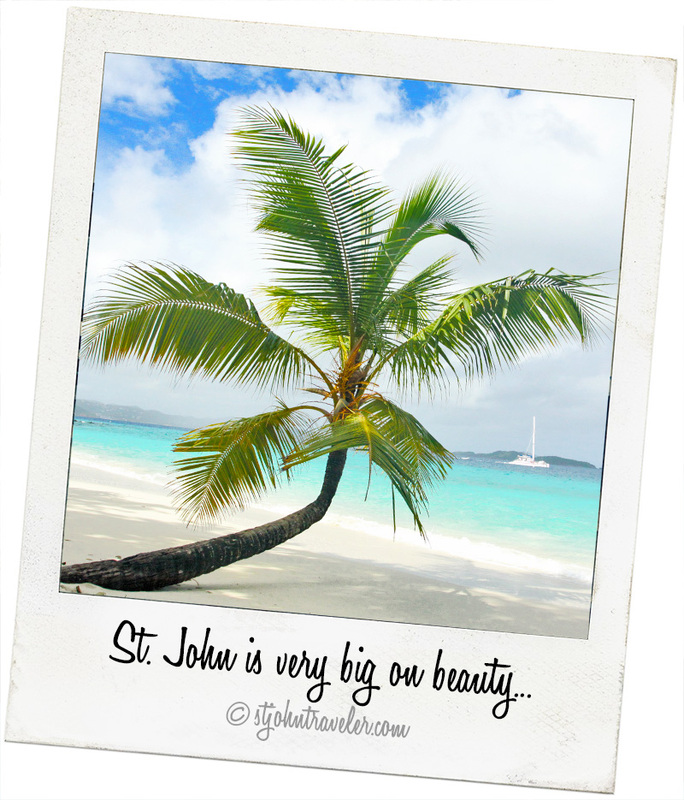 If you are looking to see St. John in a day, don’t let its size fool you. This small island is further proof that good things really do come in small packages.